LOS ANGELES, May 16, 2018 /3BL Media/ – AEG, the world’s leading sports and entertainment company, and its National Hockey League (NHL) franchise, the LA Kings, have formed a joint venture with BluEco Technology Group to introduce a revolutionary new BluEco Liquid Crystalline Turbex™ (LCT™) environmental technology for arenas and public facilities. The BluEco LCT System produces pure water while cleaning indoor air and significantly reducing energy costs for arena and facility operators and owners. Additionally, the BluEco LCT improves spectator and player comfort in a wide variety of venue climates and provides material operational cost reductions to teams and arena management. AEG and BluEco will further the NHL’s Greener Rinks mission by bringing the technology to professional and community facilities across the globe. The announcement was made today by AEG President and CEO Dan Beckerman, AEG Sports’ Chief Operating Officer, Kelly Cheeseman and President of BluEco Technology Group, Scott Morris. The proprietary BluEco Liquid Crystalline Turbex technology is a molecular level environmental air-flow management system. This innovative processor produces the highest quality of water while at the same time efficiently managing the interior air-flow, cleansing the air from particulates, and allowing for significant energy savings. The formulated ice has fewer impurities and a clearer, harder, more dense surface. Additionally, the technology eliminates an arena’s reliance on the municipal water systems to create and maintain its ice sheet. 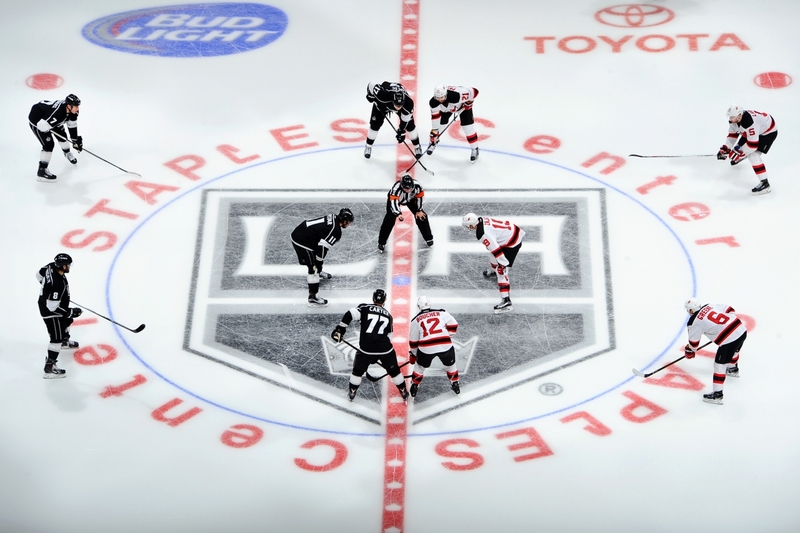 The BluEco LCT System was piloted at STAPLES Center during the LA Kings’ 2017-2018 season. As a result of the BluEco LCT system pilot program that launched during the LA Kings most recent hockey season, STAPLES Center saved hundreds of thousands of gallons of water over the entire season and has also lowered the carbon footprint of one of the busiest and well-known arenas in the world. “Our partnership with BluEco positions us on the forefront of an innovative technology that we plan to bring to arenas around North America and globally,” says Cheeseman. “By strategically and efficiently managing indoor air-flow, we no longer need to run air-conditioning at low temperatures to maintain quality ice, thereby delivering fans a better arena experience. Additionally, the BluEco LCT system is not only cheaper to run but makes our existing HVAC system more efficient and less energy consuming. While the BluEco LCT System has been developed specifically for hockey and the creation of ice sheets in venues, there are broader applications of the technology for any large indoor public facility that require water production and/or optimal energy management and efficiencies, such as data centers, warehouses, laboratories, cold storage facilities, golf courses, among other opportunities. B-roll of the BluEco LCT System and video soundbites from Luc Robitaille, President of the LA Kings, Kelly Cheeseman, Chief Operating Officer, LA Kings and Scott Morris, CEO, BluEco can be found https://tinyurl.com/AEGBluEco. The BluEco Liquid-Crystalline Turbex (LCT) technology is a proprietary molecular level environmental air-flow management system. This innovative processor produces the highest quality of water while at the same time efficiently managing the interior airflow, cleansing the air from particulates, and allowing for significant energy savings. The formulated ice has fewer impurities and a clearer and harder surface. Additionally, the technology eliminates an arena’s reliance on the municipal water systems to create and maintain its ice sheet. The BluEco LCT system is an extremely efficient stand-alone “plug and play” system and does not require integration with ducting or replacement of existing systems. Headquartered in Los Angeles, California, AEG is the world’s leading sports and live entertainment company. With offices on five continents, AEG operates in the following business segments: AEG Facilities, which is affiliated with or owns, manages or consults with more than 150 preeminent arenas, stadiums, theaters, clubs and convention centers around the world including STAPLES Center, The O2 Arena, the Sprint Center and the Mercedes-Benz Arenas; AEG Presents, which is dedicated to all aspects of live contemporary music performances, including producing and promoting global and regional concert tours, music and special events and world-renowned festivals; AEG Real Estate, which develops world-class venues, as well as major sports and entertainment districts like STAPLES Center and L.A. LIVE; AEG Sports, which is the world’s largest operator of sports franchises and high-profile sporting events; and AEG Global Partnerships, which oversees worldwide sales and servicing of sponsorships including naming rights, premium seating and other strategic partnerships. Through its worldwide network of venues, portfolio of powerful sports and music brands, AXS.com ticketing platform, AXS cable television channel and its integrated entertainment districts, AEG entertains more than 100 million guests annually. More information about AEG can be found at www.aegworldwide.com.